So I just wanted to make this dish a little bit more nutritious by substituting the rice with quinoa! 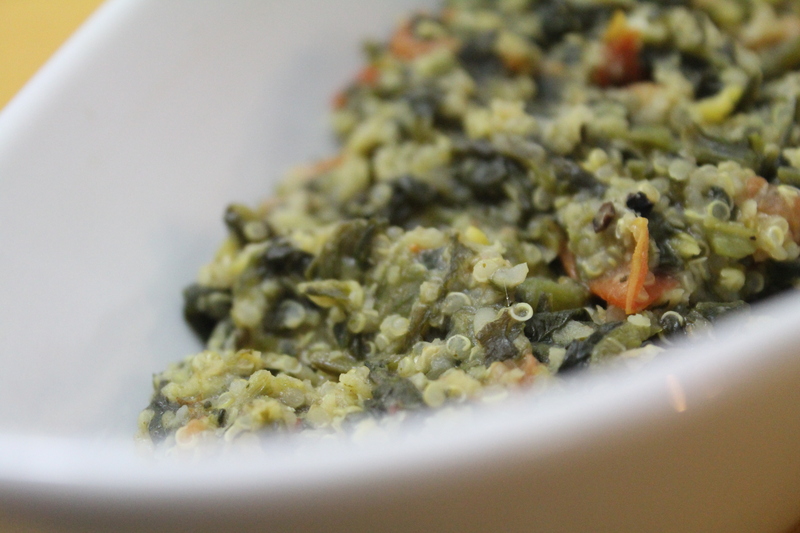 The quinoa blends in right into this dish and you would not be able to even recognize that it is there :). Just to stretch it a little more, I added some veggies for pure fun!! And the best part is, like I already mentioned it is a one-pot dish. Less preparation, less clean-up, absolutely delicious and nutritious – this dish is one of my go-to meals for a weeknight dinner! 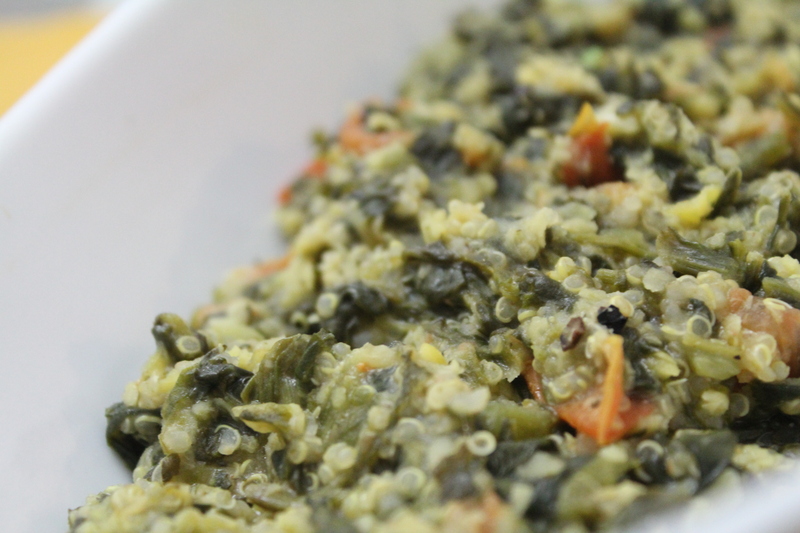 Wash the quinoa and moong dal thoroughly a couple of times. Add all the ingredients into an electric rice cooker and let it cook till it is done! You can know it is done when the dal gets mushy and quinoa gets soft (If you want you can let it cook in a pan on the stovetop or using a pressure cooker too). Serve hot with some plain yogurt on the side. 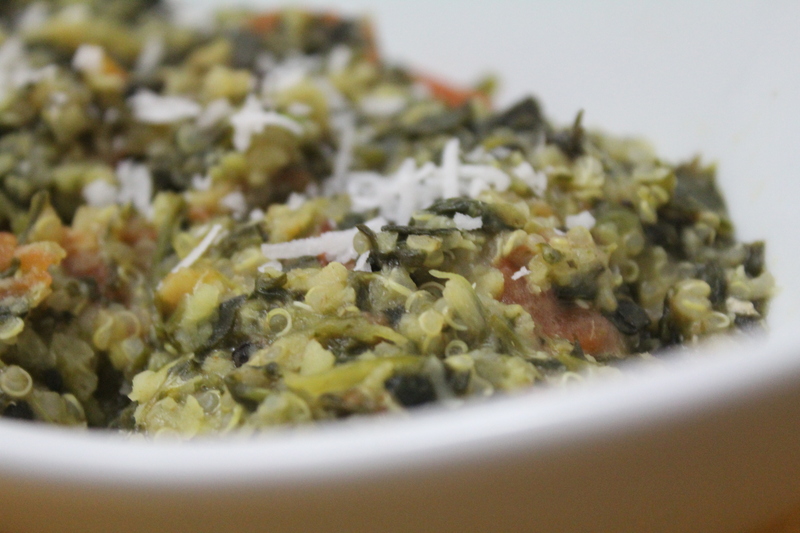 Optionally you can garnish with some grated coconut!